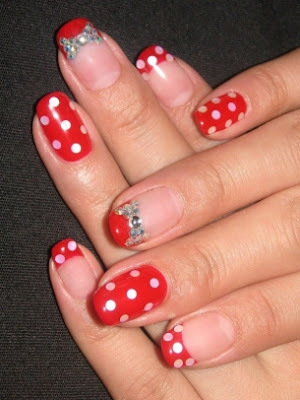 Lush Fab Glam Inspired Lifestyle For The Modern Woman: Style Me Pretty: Whimsical and Polka Dot Nail Designs! 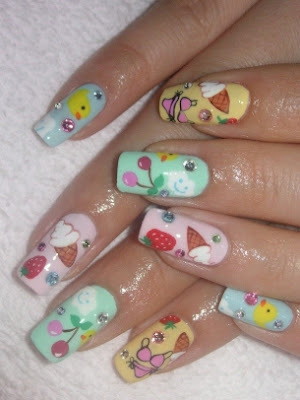 Style Me Pretty: Whimsical and Polka Dot Nail Designs! See some of our favorite nail-art designs from across the web, including the rather colorful glitter nail design below, fun and whimsical designs like the ice cream, and bikini nails. And more of the classics 1950's trend that's making a comeback in fashion as well as in nail art; polka dots, lace and bows. Polka Dots, Lace and Bows. 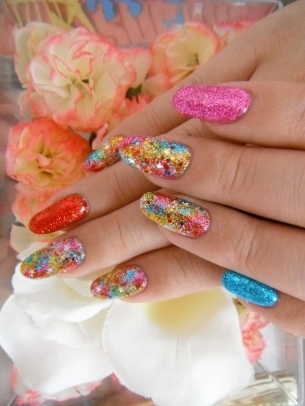 Which nail design do you prefer and will you be trying these design ideas? Leave a comment below. Any tutorials or are they all acrylic designs?